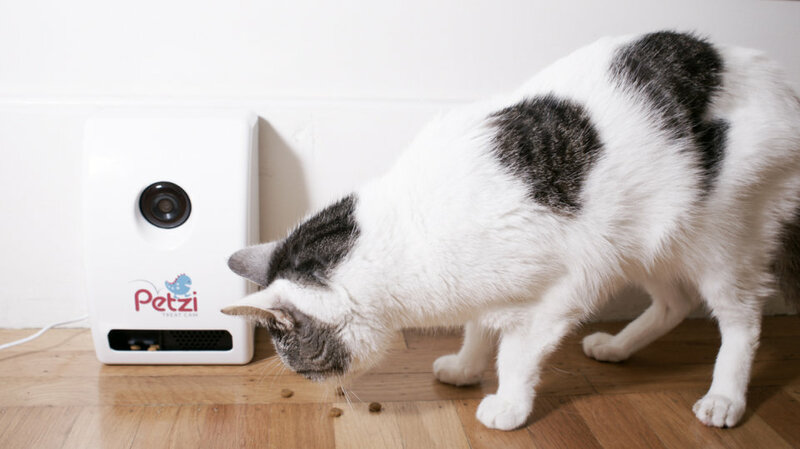 Petzi Treat Cam is an American manufactured smart camera that allows you to connect with your pet through your smartphone or tablet. This interactive device helps busy pet owners see, speak to, and treat their dogs, cats, and other animals when they're away. With Big Apple Buddy’s personal shopping service, you can now buy direct from the Petzi Treat Cam online store anytime, anywhere. 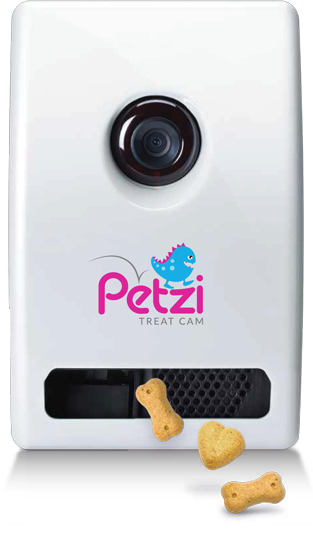 The Petzi Treat Cam is the fun and easy way to be with your pet even when you're not physically there! With a high-quality audio system, your pet will instantly recognize your voice and know to approach the Petzi cam. Best of all, it also woks as a treat dispenser so you get to spoil your pet with their favorite snack and even watch them thank you for it! Worried about leaving your pet alone or with a stranger? The Petzi Treat Cam is the best investment for you and your pet's relationship so you can feel comfortable when you have to go to work or run an errand. The set-up is just as easy, just download the app, create a profile, and stay connected with your pet anytime, anywhere. You can also snap a picture of your happy pet and share with the Petzi community! Get only the best for your smallest friend! One of the coolest features of the Petzi Treat Cam is the wide-angle camera with night vision in case you're out for the night and your pet is still roaming around. It is also conveniently mountable as you have plenty of options of where to place it and make sure that it's most visible and easily accessible to your pet. Unfortunately, the USA Petzi Treat Cam online store does not currently offer international shipping. However, Big Apple Buddy, your personal shopper, can help you buy products direct from the official USA Petzi Treat Cam online store and ship them to your doorstep, no matter where you are in the world. We offer international shipping to over 110 countries including Australia, Austria, Azerbaijan, Bahrain, Belgium, British Virgin Islands, Brunei, Bulgaria, Canada, Chile, Costa Rica, Croatia, Czech Republic, Denmark, Estonia, Fiji, Finland, France, French Polynesia, Germany, Gibraltar, Greece, Greenland, Hong Kong, Hungary, Iceland, Indonesia, Ireland, Israel, Italy, Japan, Jordan, Kuwait, Latvia, Liechtenstein, Lithuania, Luxembourg, Macau, Malaysia, Maldives, Malta, Marshall Islands, Mauritius, Monaco, the Netherlands, Netherland Antilles, New Zealand, Norway, Oman, Poland, Qatar, Romania, San Marino, Saudi Arabia, Serbia and Montenegro, Seychelles, Singapore, Slovak Republic, Slovenia, Spain, South Africa, St. Lucia, Sweden, Switzerland, Taiwan, Thailand, the UAE, the UK, Vatican City, and Vietnam. If you would like to buy from the USA Petzi Treat Cam online store, simply let us know which items you would like to order (by filling out the form below) and we’ll get back to you with a free international shipping quote within 24 hours!